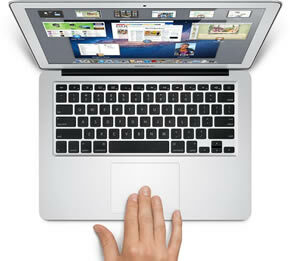 Rumor: Ultra-thin 15-inch Macbook coming Q2, 2012? News of an ultra-thin, 15-inch Macbook has been circulating for awhile now. A couple of weeks ago, we reported that Apple was rumored to have completed development of an LCD test component. There are now reports that Apple's suppliers are shipping low volumes of other components suitable for a newer, skinnier Macbook. Digitimes reports that sources upstream from Apple's supply chain claim the new Macbook should appear as early as Q2, 2012. Although Digitimes often proves to be a good source for what is going on in China, predicting the release date for Apple products has proven to be an unsolvable enigma for everyone but Apple. This remains especially true when are discussing release dates several months in advance. Digitimes cites: "Estimated by the product planning, mass shipments of the notebook device will start in March and could be cataloged in either the MacBook Air or MacBook Pro line. Apple currently has three screen sizes for the MacBook Pro - 13.3-inch, 15.6-inch and 17-inch." There is much speculation about what a razor-thin, 15-inch Macbook will look like. There is little doubt that Apple will stick with its all-aluminum, unibody design. Some sources also suggest the new Macbook will ship without an optical drive, be married to a solid state drive (SSD) and that mechanical hard drive options will unavailable. Some speculate it may be part of the Macbook Pro family while others believe it will fall under the Macbook Air umbrella, but of course, it is difficult to know for sure. In short, for now, everyone should take these rumors with a liberal sprinkling of sodium chloride. There is also a question of whether or not Apple is aiming to meet "Ultrabook" standards. In the likely event it is, the laptop will need to be 0.8 inches or thinner, an unprecedented feat for a full-featured, higher-end laptop measuring 15-inches or more. Regardless of the release date, the competition seems not content to rest on laurels. Asus and Acer both have plans to release their own 15" notebooks with an ultrabook form factor, although no release dates are currently available. If the past is any indication of the future, Apple has a tendency to set trends when it comes to forms and design. The race is on.